A new study has revealed that a drug approved for the treatment of parasitic infections effectively impairs mesothelioma cell growth and migration. “We observed that pyrvinium pamoate significantly impairs MM cell proliferation, cloning efficiency, migration, and tumor spheroid formation. At the molecular level, our data show that pyrvinium pamoate down‐regulates the expression of β‐catenin and Wnt‐regulates genes,” which are implicated in mesothelioma aggressiveness and its resistance to conventional therapy. Pyrvinium pamoate “is able to affect important features of mesothelioma aggressiveness, suggesting that the repurposing of this drug for mesothelioma treatment could represent a new promising therapeutic approach,” said lead researcher Dr. Antonio Giordano of the Sbarro Institute for Cancer Research and Molecular Medicine. In recent years, PP has been shown to effectively inhibit other various cancer cell types such as brain, breast, colon and prostate. Currently, Pyrvinium is sold over the counter in countries such as Denmark, Norway, and Sweden to treat pinworms in humans and animals. The study, titled Possible repurposing of pyrvinium pamoate for the treatment of mesothelioma: A pre‐clinical assessment, was a collaborative effort conducted by research groups at the Sbarro Institute for Cancer Research and Molecular Medicine at Temple University, Philadelphia, and University of Siena, Italy. If you have been diagnosed with mesothelioma, talk to your doctor about promising repurposed drug treatments such as pyrvinium pamoate. 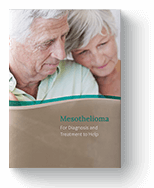 Unique treatments such as this could be effective in treating your specific type of mesothelioma. Talk to your doctor today. Barbarino, Marcella, Daniele Cesari, Delaram Rahamani, Cristiana Bellan, and Antonio Giordano. "Possible Repurposing of Pyrvinium Pamoate for the Treatment of Mesothelioma: A Pre‐clinical Assessment." Wiley Online Library. John Wiley & Sons, Inc., 06 Mar. 2018. Web. 30 Apr. 2018. Ishii, Isao, Yasuo Harada, and Tadashi Kasahara. "Reprofiling a Classical Anthelmintic, Pyrvinium Pamoate, as an Anti-cancer Drug Targeting Mitochondrial Respiration." U.S. National Library of Medicine. National Center for Biotechnology Information (NCBI), 02 Oct. 2012. Web. 30 Apr. 2018. "Pyrvinium Pamoate: An Anti-Worm Drug with Important Anti-Cancer Potential." Cancertreatmentsresearch.com. Mihaela Catalina Stanciu Foundation for Life, 12 Mar. 2016. Web. 30 Apr. 2018. Sbarro Health Research Organization (SHRO). "Repurposed Parasite Drug New Weapon Against Mesothelioma." Newswise. Newswise, Inc., 06 Mar. 2018. Web. 30 Apr. 2018.